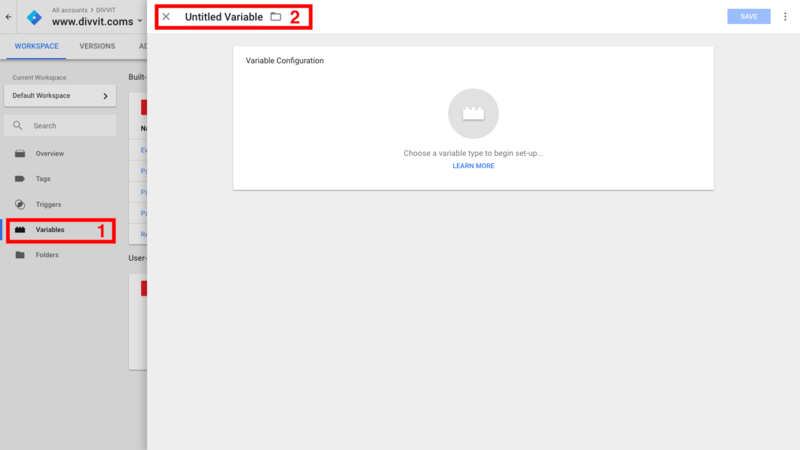 By default, we have named the variables the exact same way as Google Analytics does for their enhanced e-commerce plugin. If you already have these variables set up, but with different names, you can replace then name of the variable in the Divvit script. 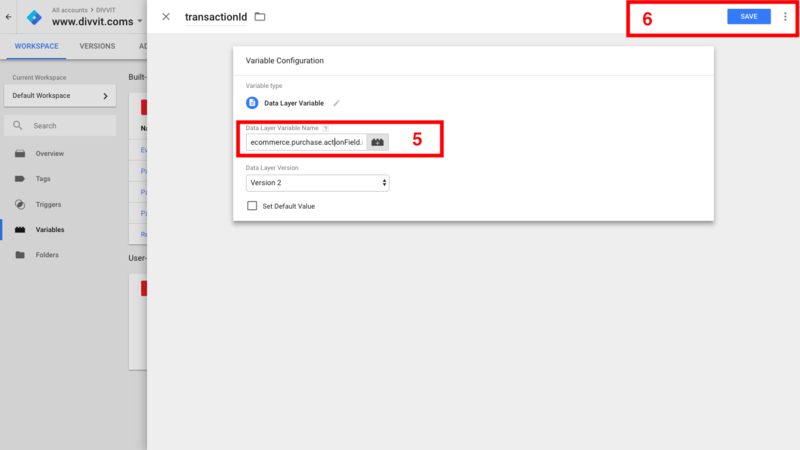 Below is a short step-by-step guide on how to set up variables according to Googles own guide. 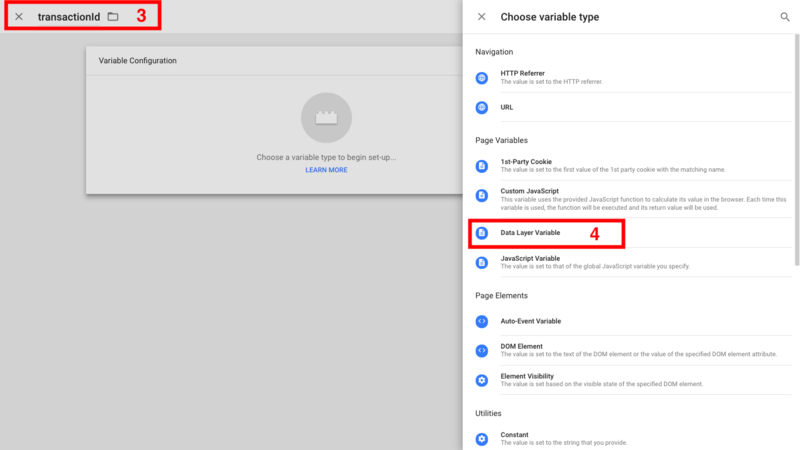 Navigate to your Google Tag Manager account and click on "Variables" on the left side menu. Put a name on your variable. Please note that this has to be the exactly the same as we have defined in our guide at https://divvit.com/tags/gtm. Make sure you have the correct name for your variable! Enter the Data Layer Variable Name. We have listed those at the bottom of the page. Please note that these Data Layer Variable Names could differ, depending on how you/your developer have done the Data Layer implementation, but our variable names are following Googles standard. Below are the default Divvit variable names (to the left) and the default Data Layer names (to the right). Please note that your Data Layer might use different names, if the person implemented it chose to do so. In most cases, below should work.